Gaming is a a majorly visual medium, and the graphics of a game are a key factor in how it is received. For many years, game visuals were continuously worked upon to reflect the real world as closely as possible. However, recent years have seen the saturation of games attempting photorealistic graphics – leading to a samey visual style across games – alongside a revitalization of games that borrow from the adventure genre. Consequentially, while a huge chunk of games are pushing the limits of graphical fidelity, there are also a number of games that use alternative visual forms that are highly stylized and lend a distinct character to the game. Games typically defined as graphic-intensive adhere to realism – gritty or gorgeous. 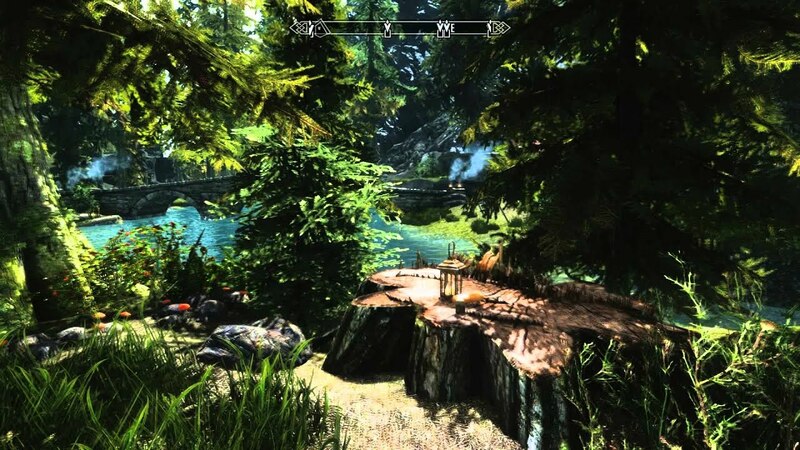 These graphics are prevalent in most popular FPSes, RPGs and even some narrative games. Their purpose is to translate the facets of our world into the in-game world with as much visual accuracy as possible. It’s important, then, that such visuals reflect lighting, texture and the physics of the real world. Whether it be a warzone or a calm fantasy village, these visuals let the player truly be a part of this world. As the sweeping sights unravel in front of you, gravel kicks up around you or sunlight pokes through windows and trees, the feeling of walking through a living, breathing world is truly unparalleled. These realistic graphics are thus key to the level of player immersion; after all, seeing is believing. On the other side of the coin, alternative or ‘artistic’ visuals seek to break from the rigidity of realism, almost as a form of escapism. This is a wide-ranging form; some games employ 8- or 16-bit throwback visuals, while others use a cell-shaded, animated style. Developers hence have a broad palette in terms of colour, graphical fidelity and texture. This provides creative freedoms, allowing games to undercut, or even parody, typically tense themes, or carve out a distinct style for the game. Colours pop and crackle, unconventional shapes and textures form all around, and new worlds are created. The sort of experience these artistically innovative graphics provide is barely matched in any other entertainment form. 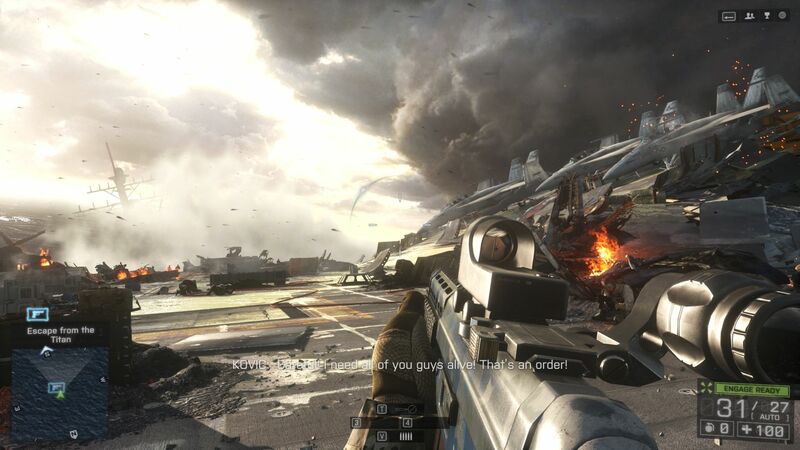 The distinction between these two graphical forms can be exemplified best through the ubiquitous FPS..
Games such as the Call of Duty and Battlefield series have relied on visuals that mirror the real world – present, past and future – to build environments that aim to increase the impact of the chaos on screen. Whether it be epic set pieces or heart-pounding multiplayer games, each moment feels like they could be happening out on our very own streets. Scarily accurate, sometimes. Debris exploding around you, broken glass – and bodies – dropping everywhere, massive tanks lurching on potholes. Sneaking through a serene jungle, dew glistening on the leaves, thick smoke in the distance. And you’re there. To call these games immersive would be an understatement; for the duration of the game, you live it. Games like Crysis were lauded for how damn real they looked: they no longer looked like what games were thought to look like. But there is a saturation point. And in the race to create the most realistic-looking game, there was confusion in calling the most real, the best. But thankfully, a new crop of FPSes – albeit limited – sought to change the paradigm. Two classic games of FPSes with uniue graphical styles are Borderlands and Team Fortress 2. These are still very much your good ol’ kill-em-all shooters, but the vibrancy of Borderlands and the cartoonish charm of TF2 ensured they’re remembered for far more than being good FPSes. Borderlands is an absolute riot of colour, and with its distinctive cell-shaded visual style, makes for one of the most visually incredible FPSes of our time. And for a game loaded with as much personality as Borderlands, realism wouldn’t have made the visuals nearly as memorable. Similarly, who can forget the hilarious characters of TF2 (dem hats tho), and the maps that look straight out of a Disney movie? More recently, games such as the decidedly weird SUPERHOT and Minecraft-like Block N Load have sought to use interesting visual styles to set themselves apart. It’s evident then, that, there is a shift in how games must look to intrigue the gamer. Sure, COD and its ilk sell millions of copies, but there is a huge section of gamers that’s on the lookout for something new. The first thing that the player obviously being the visuals, graphics that stand out are the way to get their attention. These two visual styles – the realistic and the artistic – are clearly demarcated, but they’re not in conflict with each other. For the most part, the two styles serve different purposes and are individually suited to particular genres and sub-genres of games. The games that use the style best suited to the mood they’re trying to convey, are the ones that are worth paying attention to. And tons of games are getting that right. Thanks to the gaming gods, us gamers now have games of every colour and texture for our playing pleasure. So whether you like to watch in awe as gorgeous plains unfurl ahead of you, or you want your gamescreen to resemble Holi, modern gaming has got you covered. Next articlePokemon Go: First Footage and Analysis!